Neither myself nor D have been getting much sleep these days due to the erratic noctural patterns of our little fella Murty. So, getting out for a run can be psychologically daunting; am I too tired, will I be able to do anything, would I better off waiting until tomorrow when I may be a little more rested? Well, the answer to all of these questions is this: WHEN IN DOUBT JUST GET OUT! So get out I did... down the road and up again, looking to clock a three miler, just to say that I'm moving. But then it happened... the world just dragged me along! Then, it was a woman from Donegal called Fiona, who lives locally and is set to marry a Carraroe man this year. She is a keen runner and is training for the upcoming Galway Women's Mini Marathon. My three miler turned into a 5 or even 6 miler - I'm not sure. Fiona was out with a local running group, and if my schedule suits I'll certainly be joining them again. She was great company and we certainly dragged each other along with a story or two. Cooley Coast Run - in the Company of Women! 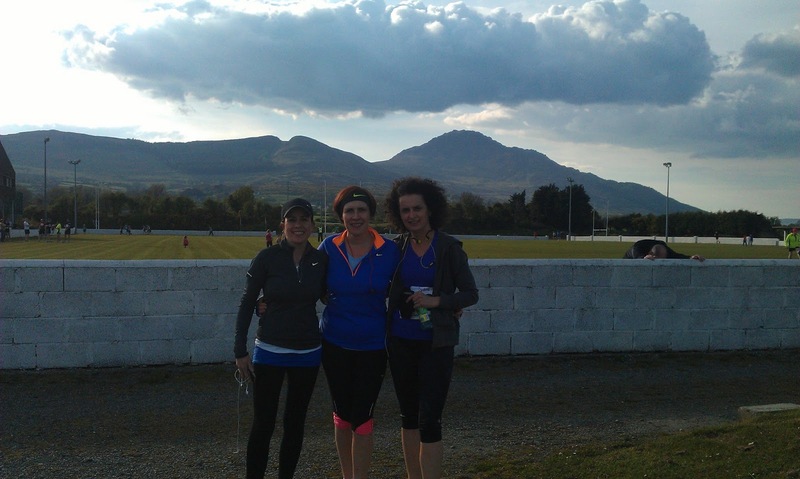 Deirdre, Mary and Bernie - great company for the Cooley Coast Run. My second race of the year, and I'm finally beginning to turn a corner! Set in the spectacular Cooley peninsula, with views of the majestic Mourne mountains, Carlingford Lough, King John's Castle and beautiful Slieve Foy, this certainly was one of my most enjoyable 10kms ever. 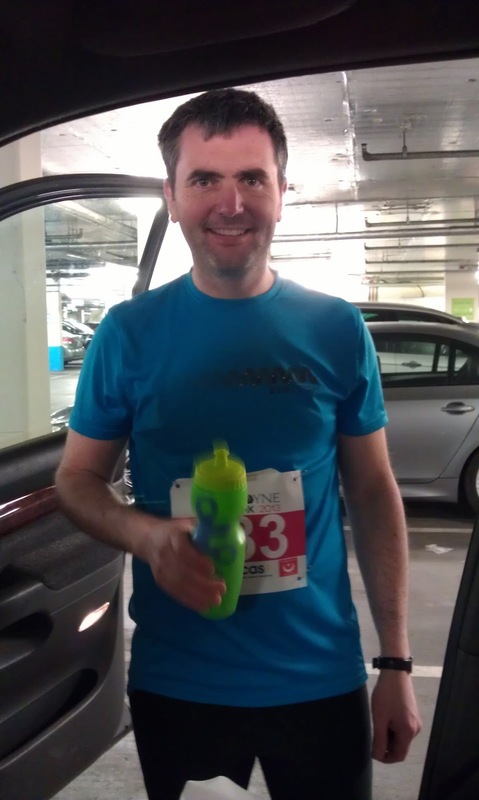 It now also ranks as my best 10km so far, as I set a PB of 49.32mins! I was delighted to get in under 50mins, but I honestly know that my 10km PB would have been much lower had I actually focussed on this distance a number of years ago when I was a good deal fitter than I am today - however, a PB is a PB and I'm happy to have shaved a full 5minutes of the Boyne 10km, in only two weeks! I ran Cooley in the company of women... my sister in law, Mary (who has taken to the roads with great gusto these past few months) and two of her friends, Bernie and Deirdre. Each of us ran at our own pace and all were happy with the outcome - Bernie and Mary finishing in 60.01mins and Deirdre coming in at the 55min mark (she had run this race in 47mins only two years ago and is on a comeback trail!). The run itself was delightful for the most part, with a kick in the tail towards the end. We headed from Cooley's sports ground in the direction of Greenore for a few hundred metres, but then turned right off the main road as we rambled around the backways of beautiful Cooley for the first 6km. Most of this section was either flat or downhill, with only a few minor inclines, so I found myself holding a good pace throughout. It helped that the day was fine and all were in good humour and I knew that a sub 50 was certainly on. Someone had mentioned a long climb towards the end of the race, so I tried to do two things: 1) run fast enough in the first half to allow for a major slow down towards the end while still coming in under 50, 2) keep enough in the tank for this 'long draw towards the end'! The climb finally came when we were exiting the backroads and turned the corner onto the mainroad again, heading back towards the Cooley ground. At this point Deirdre, Murty and all of the Carlingford clan were out to cheer us on and I took great heart from the encouragement. I certainly slowed down on the incline - but knew I had enough in the tank not to die completely. This last drag went on for a good bit and runners all round were struggling, but thankfully my training routes in Conamara have left me with a little of the mountain goat mentality and so I just ate up ground until I finally caught sight of the clock timer. A two hundred metre dash ensured my sub 50 - the first time I've ever done this officially for a 10km. There were great festivities around Cooley and Carlingford after the race - a great credit to the organisers. I'll be back next year for sure. As for the rest of this year; I finally feel as though I'm back in some kind of groove and may concentrate on bringing that 10km time down still further! At long last I'm back on the racing circuit! After a lay off of over 9 months I finally took to the roads of Drogheda last Sunday along with Benny for the spectacular Boyne 10k. My time may not have been great, my PB certainly wasn't touched but what a fantastic feeling to have clocked a race again. This wonderful race drew 1,600 runners from all over the country, with the vast majority coming from the wee County of Louth and surrounding north eastern counties. We started off in West Street, at the steps of the magnificent St. Peter's church that holds the remains of St. Oliver Plunkett (a freakishly well preserved skull) and headed off eastward up the town, crossing the lights and running along the river. Benny, who hadn't really trained all that much (except for an unexpected return to Gaelic football during the previous week), shot off at lightning speed - being pulled ahead by the fitter and faster runners. I managed to tag him back and caution him against this instinct for speed at such an early stage and so we both paced ourselves slowly for the first five kms. Benny gets a little refreshment after the Boyne Run. The first half of this race was sheer heaven, especially when we turned off the main road, heading downhill under the tunnels and onto the little country road that led us along the river bank. Benny kept at my shoulder throughout the first half of the race and we paced it out nicely. At the 7km mark came 'Heartbreak Hill'. Wow, what a climb. It went on for nearly two kms, twisting and climbing ever so slowly. It was at this point that Benny and I were cut adrift - there's only one way to do a hill like this and it has to be at your own pace. I must admit, I loved this hill - it reminded me of the hills at home in Conamara. I was climbing tigerishly and passing most runners. We topped the hill at about 8.5km mark and I began to up the pace considerably, running sub 8mile for the next 1km and motoring past people. 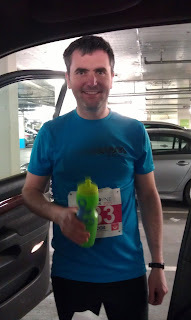 While it was difficult to maintain that pace to the very end I was happy enough to cross the line at 54.43mins - a tale of a race in two stages, 0-7k at a leisurely pace and 7-10 (which included that tough climb) at a decent canter. Benny crossed the line in 57.52mins - impressive for a man who rarely gets a chance to train. The most important thing of all - we're off! 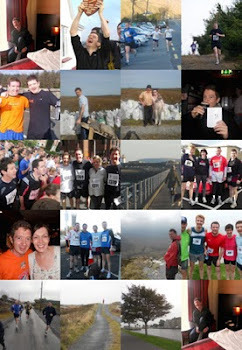 There's another 10k in the Cooley peninsula in two weeks time and I plan to be there.